A little more than a month ahead of a first-ever federal trial over the issue of whether or not Monsanto’s popular weed killers can cause cancer, a new analysis raises troubling questions about the U.S. Environmental Protection Agency’s (EPA) handling of pertinent science on glyphosate safety. According to the report, which examines the opposing positions taken by the EPA and an international cancer research agency on glyphosate-based herbicides, the EPA has disregarded substantial scientific evidence of genotoxicity associated with weed killing products such as Roundup and other Monsanto brands. Genotoxicity refers to a substance’s destructive effect on a cell’s genetic material. Genotoxins can cause mutations in cells that can lead to cancer. The paper was authored by Charles Benbrook, a former research professor who served at one time as executive director of the National Academy of Sciences board on agriculture, and was published in the journal Environmental Sciences Europe on Monday. It is based on Benbrook’s review of EPA and IARC records regarding the types and numbers of glyphosate studies each organization evaluated. “Clearly, compared to EPA’s genotoxicity review, the IARC review is grounded on more recent, more sensitive, and more sophisticated genotoxic studies, and more accurately reflects real-world exposures,” Benbrook told EHN. Benbrook testified as an expert witness in the first lawsuit to go to trial against Monsanto over claims its glyphosate herbicides cause cancer. The plaintiff in that case, Dewayne “Lee” Johnson, won a unanimous jury award of $289 million last year that the judge in the case cut to $78 million. Thousands of additional cancer victims have sued Monsanto and the second trial begins Feb. 25 in federal court in San Francisco. Benbrook is also expected to testify for the plaintiff in that case. Monsanto is seeking to exclude Benbrook’s testimony at trial, saying he has no expertise in any physical science or field of medicine and no training or degree in toxicology and has never worked at the EPA or other regulatory body. The EPA did not respond to a request for comment. The agency has maintained, however, that its review of glyphosate has been robust and thorough. Glyphosate has low toxicity for humans, and glyphosate products can be safely used by following directions on labeled products, according to the EPA. In the new analysis, Benbrook is critical of the EPA’s scrutiny of glyphosate herbicides, noting that little weight was given to research regarding the actual formulations sold into the marketplace and used by millions of people around the world. Instead, the EPA and other regulators have mostly pointed to dozens of studies paid for by Monsanto and other companies selling glyphosate herbicides that found no cancer concerns. The EPA has given little attention to several independent research projects that have indicated the formulations can be more toxic than glyphosate alone, according to Benbrook. Indeed, the EPA only started working in 2016—some 42 years after the first glyphosate herbicides came to market – with the U.S. National Toxicology Program to evaluate the comparative toxicity of the formulations. Early results disclosed in 2018 supported concerns about enhanced toxicity in formulations. Several scientists, including from within the EPA’s Office of Research and Development (ORD), and from a panel of scientific experts convened by the EPA, have cited deficiencies and problems with the EPA’s decision to classify glyphosate as not likely to be carcinogenic to humans. But Benbrook’s analysis is the first to look deeply at how and why the EPA and IARC drew such divergent conclusions. Benbrook looked at the citations for genotoxicity tests discussed in the EPA and IARC reports, both those that were published in peer-reviewed journals and the unpublished ones that were presented to the EPA by Monsanto and other companies. Some studies looked at glyphosate alone, and/or glyphosate-based herbicide formulations and some included findings about a substance called aminomethylphosphonic acid (AMPA), which is glyphosate’s primary metabolite. Benbrook’s analysis found that within the body of available evidence, the EPA relied on 151 studies, 115 of which showed negative results, meaning no evidence of genotoxicity, and only 36 that had positive results. IARC cited 191 studies, only 45 of which showed negative results and 146 of which showed evidence of genotoxicity. Benbrook’s analysis reports that over the last three years at least 27 additional studies have been published addressing possible mechanisms of genotoxic action for glyphosate and/or formulated glyphosate-based herbicides and all but one of the 27 studies reported one or more positive result. There were 18 positives arising from DNA damage, six associated with oxidative stress, and two with other genotoxicity mechanisms, his paper states. More research is needed on real-world exposures, Benbrook concludes. Update: See also the editorial by the editors of Environmental Sciences Europe about the implications of Benbrook’s analysis, “Some food for thought: a short comment on Charles Benbrook’s paper“. Carey Gillam is a journalist and author, and a public interest researcher for US Right to Know, a not-for-profit food industry research group. Follow her on Twitter at @careygillam. 2018 Thorpe Menn Literary Excellence Award. See also: Carey Gillam’s testimony before a joint committee of the European Parliament on 10/11/2017 and her reporting from the Daubert Hearings in the Cancer Victims Vs. Monsanto glyphosate litigation. It’s the pesticide on our dinner plates, a chemical so pervasive it’s in the air we breathe, our water, our soil, and even found increasingly in our own bodies. Known as Monsanto’s Roundup by consumers, and as glyphosate by scientists, the world’s most popular weed killer is used everywhere from backyard gardens to golf courses to millions of acres of farmland. For decades it’s been touted as safe enough to drink, but a growing body of evidence indicates just the opposite, with research tying the chemical to cancers and a host of other health threats. In Whitewash, veteran journalist Carey Gillam uncovers one of the most controversial stories in the history of food and agriculture, exposing new evidence of corporate influence. Gillam introduces readers to farm families devastated by cancers which they believe are caused by the chemical, and to scientists whose reputations have been smeared for publishing research that contradicted business interests. Readers learn about the arm-twisting of regulators who signed off on the chemical, echoing company assurances of safety even as they permitted higher residues of the pesticide in food and skipped compliance tests. And, in startling detail, Gillam reveals secret industry communications that pull back the curtain on corporate efforts to manipulate public perception. Whitewash is more than an exposé about the hazards of one chemical or even the influence of one company. It’s a story of power, politics, and the deadly consequences of putting corporate interests ahead of public safety. It’s been three weeks since a San Francisco jury found that exposure to Monsanto’s Roundup herbicides contributed to former school groundskeeper Dewayne “Lee” Johnson’s terminal cancer and awarded a stunning $289 million in damages to the 46-year-old father. And during that time, we’ve seen repeated assertions from the pesticide giant and its allies that, in fact, the jury was wrong and the weed killer of choice for millions of Americans is perfectly safe. Monsanto Vice President Scott Partridge repeated the familiar mantra: Hundreds of scientific studies, as well as reviews by regulatory agencies across the globe, including the U.S. Environmental Protection Agency, have found that glyphosate — the active ingredient in Roundup — does not cause cancer. Monsanto’s new owner, Bayer AG, went further. Bayer CEO Werner Baumann told investors that the jury was just flat-out “wrong” and that Bayer would work to ensure that sales of the weed-killing products were not interrupted. “More than 800 scientific studies and reviews” support glyphosate safety, he told investors. Unchallenged, the carefully honed talking points sound impressive and conclusive — exactly as intended. But in the wake of the jury’s award, many people across the United States who have been spraying the pesticide on their lawns and gardens for years doubt those reassuring words. And with good reason. Corporate assurances of safety leave out one important word — a word that is critically important to anyone who wants to make an informed decision about the cancer risk associated with Roundup and the hundreds of other glyphosate-based herbicides on the market. As was laid out in the trial, there is a wealth of evidence, much of it from within Monsanto’s own internal documents, detailing how much of the research suggesting that Roundup is safe has been orchestrated and/or influenced by Monsanto and its chemical industry allies. But truly independent research has shown that there is reason for concern. As Roundup use on U.S. farms, residential lawns and gardens has soared from roughly 40 million pounds a year in the 1990s to nearly 300 million pounds in recent years, the dangers of the chemical have been documented in numerous peer-reviewed studies. It was those independent and peer-reviewed works that convinced the cancer research arm of the World Health Organization to determine that glyphosate is a probable human carcinogen. In the wake of that WHO finding, California added glyphosate to the state’s list of cancer-causing chemicals. Monsanto’s response to that 2015 classification was more manipulated science. An “independent review” of glyphosate showed up in a peer-reviewed scientific journal decrying the IARC classification. The review not only was titled as being independent, but declared that no Monsanto employee had any involvement in the writing of it. Yet the company’s internal emails, turned over in discovery associated with the litigation, revealed that a Monsanto scientist in fact aggressively edited and reviewed the analysis prior to its publication. The EPA has sided with Monsanto over independent scientists, declaring the pesticide is not likely to cause cancer. By doing so, the agency has ignored the fact that its own Office of Research and Development expressed unease with the EPA’s handling of the glyphosate evaluation, as did a scientific advisory panel convened by the agency to peer-review the evaluation. Perhaps not surprisingly, the trial evidence also included communications detailing what can only be described as cozy collaborations between Monsanto and certain EPA officials. Americans deserve better from their regulators, whose priority should be to put the public’s health far before corporate profits. Instead, it took a brave man dying of cancer and jury of 12 ordinary citizens to step up and face the challenge of taking a hard look at the scientific facts and calling for justice. It was a verdict heard around the world. In a stunning blow to one of the world’s largest seed and chemical companies, jurors in San Francisco have told Monsanto it must pay $289m in damages to a man dying of cancer which he claims was caused by exposure to its herbicides. Monsanto, which became a unit of Bayer AG in June, has spent decades convincing consumers, farmers, politicians and regulators to ignore mounting evidence linking its glyphosate-based herbicides to cancer and other health problems. The company has employed a range of tactics – some drawn from the same playbook used by the tobacco industry in defending the safety of cigarettes – to suppress and manipulate scientific literature, harass journalists and scientists who did not parrot the company’s propaganda, and arm-twist and collude with regulators. Indeed, one of Monsanto’s lead defense attorneys in the San Francisco case was George Lombardi, whose resumé boasts of his work defending big tobacco. Now, in this one case, through the suffering of one man, Monsanto’s secretive strategies have been laid bare for the world to see. Monsanto was undone by the words of its own scientists, the damning truth illuminated through the company’s emails, internal strategy reports and other communications. The jury’s verdict found not only that Monsanto’s Roundup and related glyphosate-based brands presented a substantial danger to people using them, but that there was “clear and convincing evidence” that Monsanto’s officials acted with “malice or oppression” in failing to adequately warn of the risks. Testimony and evidence presented at trial showed that the warning signs seen in scientific research dated back to the early 1980s and have only increased over the decades. But with each new study showing harm, Monsanto worked not to warn users or redesign its products, but to create its own science to show they were safe. The company often pushed its version of science into the public realm through ghostwritten work that was designed to appear independent and thus more credible. Evidence was also presented to jurors showing how closely the company had worked with Environmental Protection Agency officials to promote the safety message and suppress evidence of harm. “The jury paid attention throughout this long trial and clearly understood the science and also understood Monsanto’s role in trying to hide the truth,” said Aimee Wagstaff, one of several attorneys around the US who are representing other plaintiffs making similar claims to Dewayne Johnson. This case and the verdict specifically concern the 46-year-old father who developed a severe and fatal form of non-Hodgkin’s lymphoma while working as a school groundskeeper, repeatedly spraying large quantities of Monsanto’s Roundup and other glyphosate herbicide brands. Doctors have said he probably does not have long to live. The ramifications, however, are much broader and have global implications. Another trial is set to take place in October in St Louis and roughly 4,000 plaintiffs have claims pending with the potential outcomes resulting in many more hundreds of millions, if not billions of dollars in damage awards. They all allege not only that their cancers were caused by exposure to Monsanto’s herbicides, but that Monsanto has long known about, and covered up, the dangers. The team of plaintiffs’ attorneys leading the litigation say they so far have brought to light only a fraction of evidence collected from Monsanto’s internal files and plan to reveal much more in future trials. Monsanto maintains it has done nothing wrong, and that the evidence has been misrepresented. Its attorneys say they have the bulk of scientific research firmly on their side, and that they will appeal against the verdict, meaning it could be years before Johnson and his family see a dime of the damage award. 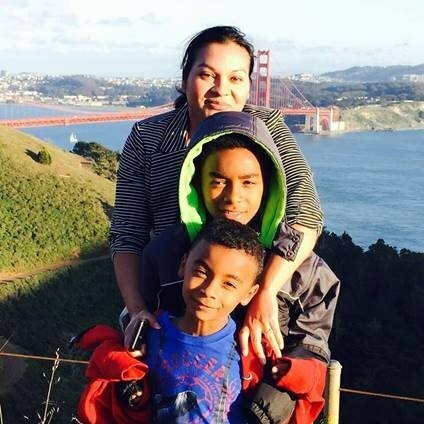 In the meantime, his wife, Araceli, works two jobs to support the couple and their two young sons as Johnson prepares for another round of chemotherapy. But as this case and others drag on, one thing is clear: this is not just about one man dying of cancer. Glyphosate-based herbicides are so widely used around the globe (roughly 826 million kg a year) that residues are commonly found in food and water supplies, and in soil and air samples. US scientists have even recorded the weed killer residues in rainfall. Exposure is ubiquitous, virtually inescapable. Acknowledgement of risk is essential to public protection. Regulators, however, have failed to heed the warnings of independent scientists for too long, even shrugging off the findings of the World Health Organization’s top cancer scientists who classified glyphosate as a probable human carcinogen. Now, well past time, long-held corporate secrets have been exposed. In his closing argument, the plaintiff’s attorney, Brent Wisner, told the jury it was time for Monsanto to be held accountable. This trial, he said, was the company’s “day of reckoning”. Let the battle begin. Opening statements are slated for Monday in the landmark legal case that for the first time puts Monsanto and its Roundup herbicide on trial over allegations that the company’s widely used weed killer can cause cancer. Monsanto’s attorneys cited similar issues in seeking to quell media coverage of the trial, telling the judge that she should not allow news cameras to televise the events because the publicity would “create a significant safety risk” for Monsanto’s employees and attorneys who have been targeted with “multiple threats and disturbing communications,” related to the litigation. Monsanto said employees have received threatening phone calls as well as ominous postcards sent to their homes. One postcard displayed a skull and crossbones along with a photo of the recipient, Monsanto said in a court filing. Judge Bolanos ruled that some parts of the trial will be allowed to be broadcast, including opening statements, closing arguments and the announcement of a verdict. The trial is expected to be closely followed by people around the world; the French news outlet Agence France Presse is among the contingent of media who sought permission to cover the case. Heated debates over the safety of Roundup and the active ingredient glyphosate have spanned the globe for years. Concerns mounted after internal Monsanto documents came to light through court-ordered discovery, showing conversations among Monsanto employees about “ghost” writing certain scientific papers to help influence regulatory and public opinion about Monsanto products. The company says it plans to introduce expert testimony demonstrating that the science is firmly on its side—”the entire body of epidemiology literature shows no causal association” between its glyphosate-based herbicides and non-Hodgkin lymphoma, the company states. As well, the animal testing database “is most consistent with glyphosate not being a human carcinogen,” according to Monsanto. The company’s attorneys also plan to show that Johnson’s exposure was minimal, and notably, that development of his type of cancer—a disease called mycosis fungoides that causes lesions on the skin—takes many years to form and could not have developed in the short period between Johnson’s exposure and his diagnosis. Monsanto’s attorneys argue in court filings that Johnson’s claims are so weak the judge should instruct the jury to provide a directed verdict in Monsanto’s favor. But Johnson’s attorneys plan to tell jury members that Johnson began to experience a skin rash not long after being accidentally doused in a Monsanto glyphosate-based herbicide called Ranger Pro. He saw the rash—which turned to lesions and then invaded lymph nodes—worsen after he would use the chemical, which was frequently as he treated school grounds. Johnson’s attorneys plan to tell jurors that Johnson was so worried that the herbicide was to blame that he called Monsanto’s offices as well as a poison hotline number listed on the herbicide label. Monsanto employees recorded his outreach and his concerns, internal Monsanto documents show. But even after the IARC classification of glyphosate as a probable carcinogen, Monsanto did not inform him of any risk, according to evidence to be presented at the trial. As part of their case, Johnson’s attorneys intend to present video depositions of 10 former or current Monsanto employees, and of former Environmental Protection Agency official Jess Rowland, whose relationship with Monsanto has sparked allegations of collusion and an inquiry from the EPA’s Office of Inspector General. They also will call to the stand Johnson himself, his wife, his doctors, and several scientists as expert witnesses. The Monsanto witness list includes 11 expert witnesses who will testify both about the necessity of herbicides, including glyphosate-based herbicides; certain scientific literature; the plaintiff’s type of cancer and potential causes; and other evidence that Monsanto says discredits Johnson’s claims. Johnson’s attorneys will start the opening statements on Monday, and have projected that initial explanation of their case to the jury will take roughly 1-1/2 hours. Monsanto’s attorneys have told the court they expect their opening statements to take roughly 1-1/4 hours. This story originally appeared in EcoWatch. Dewayne “Lee” Johnson has led what many might call an unremarkable life. The 46-year-old father and husband spent several years working as a school groundskeeper and spending free time teaching his two young sons to play football. But this week he takes center stage in a global debate over the safety of one of the world’s most widely used pesticides as he takes Monsanto to court on claims that repeated exposure to the company’s popular Roundup herbicide left him with terminal cancer. San Francisco Superior Court Judge Suzanne Ramos Bolanos was assigned Monday to oversee the trial, and jury selection is tentatively expected to begin Thursday, June 21, with opening statements possible by June 27. The courtroom showdown could last three to four weeks, lawyers involved estimate, and will shine a spotlight on decades of scientific research and internal Monsanto documents that relate to the testing and marketing of Monsanto’s flagship herbicide and the active ingredient, a chemical called glyphosate. Though Johnson is the lone plaintiff in the lawsuit, his case is considered a bellwether for roughly 4,000 other plaintiffs also suing Monsanto over allegations that exposure to Roundup caused them or their loved ones to develop non-Hodgkin lymphoma (NHL). Another case is scheduled to go to trial in October in St. Louis, Missouri. Johnson worked as a groundskeeper for the Benicia Unified School District for many years. The lawsuits, which have been piling up in court dockets around the U.S., not only challenge Monsanto’s position that its widely used herbicides are proven safe, but they also assert that the company has intentionally suppressed evidence of the risks of its weed killing products, misleading both regulators and consumers in a dangerous deception. The litigation, proceeding both in federal and state courts, began after the International Agency for Research on Cancer (IARC) classified glyphosate—the active ingredient in Roundup—as a probable human carcinogen in March 2015. The IARC classification was based on years of published, peer-reviewed scientific studies analyzing glyphosate and glyphosate-based herbicides. Monsanto and allies in the agrochemical industry have blasted the litigation and the IARC classification as lacking in validity, countering that decades of safety studies prove that glyphosate does not cause cancer when used as designed. Monsanto has cited findings by the U.S. Environmental Protection Agency (EPA) and other regulatory authorities as backing its defense. The company can also point to an EPA draft risk assessment of glyphosate on its side, which concluded that glyphosate is not likely carcinogenic. Glyphosate represents billions of dollars in annual revenues for Monsanto, which became a subsidiary of German-based Bayer AG on June 8, and several other companies selling glyphosate-based herbicides. Monsanto brought the pesticide to market in 1974 and the weed killer has been used prominently for decades by farmers in food production and by municipalities to eradicate weeds in public parks and playgrounds, and by homeowners on residential lawns. Monsanto had sought to delay the Johnson case, just as it has sought to delay and/or dismiss the others brought against it. But the trial was expedited because he is not expected to live much longer after being diagnosed in 2014 with a form of non-Hodgkin lymphoma called mycosis fungoides. According to court records, Johnson worked as a groundskeeper for the Benicia Unified School District for many years and applied multiple treatments of Monsanto’s herbicides to the San Francisco-area school properties from 2012 until at least late 2015, including after he was diagnosed with cancer in August 2014. His job entailed mixing and spraying hundreds of gallons of glyphosate-based herbicides around school properties. He used various Roundup products, but mostly Roundup PRO, a highly concentrated version of the weed killer. After developing a skin rash in the summer of 2014 he reported to doctors that it seemed to worsen after he sprayed the herbicide. In August of that year he was diagnosed with a type of lymphoma but continued his work until 2015 when he underwent several rounds of chemotherapy only to learn in September 2015 that he likely had but 18 months to live. In a deposition taken in January, Johnson’s treating physician testified that more than 80 percent of his body was covered by lesions and his diagnosis continued to be terminal. Still, Johnson has improved since starting a new drug treatment and plans to attend some of the trial if possible, his attorneys said. Johnson has not led an unblemished life; Monsanto uncovered an aggravated assault charge against him from the early 1990s, along with a misdemeanor weapons charge and a domestic abuse complaint against the mother of his oldest child. The company elicited deposition testimony from Johnson that he failed tests for pesticide applicators three times, and sprayed the pesticide without a certified applicator license. Johnson wore proper protective gear over his clothing but was accidentally drenched in the pesticide at least once when mixing it. Monsanto’s lawyers will argue other factors could be to blame for Johnson’s cancer, and that its weed killer played no role. Johnson’s attorneys have shrugged off any issues regarding Johnson’s personal behavior or other potential causes for his disease, and say in court filings they will offer evidence at trial that Monsanto “for decades, engaged in a shocking degree of scientific fraud and manipulation of the scientific literature with respect to Roundup” to cover up the evidence that it does cause cancer. The trial evidence will include information that Monsanto ghostwrote articles relied on by the EPA, IARC and California’s environmental regulators; rewarded employees for ghostwriting; and actively suppressed the publication of information that revealed the harm associated with glyphosate and Roundup. Johnson’s attorneys say internal Monsanto documents show extensive “manipulation” of the scientific record, and clearly improper and fraudulent interactions with regulators. Johnson’s attorneys intend to call 10 current and former Monsanto employees to the stand. Wisner was only brought in to help try to case within the last few weeks after lead attorney Mike Miller suffered a near-fatal accident while kite surfing and remains too severely injured to try the case. Wisner’s role is key as he is set to deliver both the opening and closing statements for Johnson’s case in Miller’s absence. Monsanto filed a motion on June 18 seeking to exclude Wisner from trying the case, however, claiming he has been acting as a “PR man,” and lobbyist against glyphosate, particularly in Europe, where glyphosate has been under intense regulatory scrutiny. Monsanto also cited Wisner’s release in August 2017 of hundreds of pages of internal Monsanto documents turned over in discovery that the company had wanted to keep sealed, a tactic that earned Wisner a rebuke from the judge in the federal multidistrict litigation pending against Monsanto. Monsanto’s lawyers argue that the internal corporate communications have been intentionally presented out of context by Wisner and other plaintiff’s attorneys to make it appear as though the company engaged in deceptive practices when it did not. Wisner’s activities put him in violation of a California “advocate-witness” rule, Monsanto contended in its filing. In addition to trying to exclude the lawyer, Monsanto is seeking to exclude reams of evidence, including internal emails written by its scientists, arguments that it deceived the EPA, evidence of fraud committed by laboratories, and testimony from Johnson’s expert witnesses. Judge Bolanos will hear arguments on Wednesday regarding that motion and more than a dozen others regarding what evidence will and will not be allowed at trial. Both sides say the case and the outcome are important in a larger sense. If the jury finds in favor of Johnson it could encourage additional litigation and damage claims some of the lawyers involved estimate could run into hundreds of millions of dollars. If the jury sides with Monsanto, other cases could be in jeopardy. Additionally, a victory for Monsanto in this first case could ease regulatory questions dogging the company. As for Johnson, he will try to attend some of the trial, and will testify, but will not likely be there for it all, said Wisner. Johnson’s wife, Araceli Johnson, will be called to testify, as will two of his co-workers and his doctors. This article was originally posted on EcoWatch. Carey Gillam is a journalist and author, and a public interest researcher for US Right to Know, a not-for-profit food industry research group.